Curtis Stone is making us peanut butter chocolate cookies! 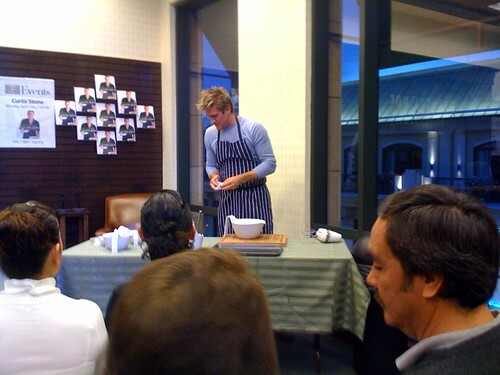 Curtis Stone is making us peanut butter chocolate cookies!, originally uploaded by !!! :: jozjozjoz :: !!!. There was no oven at B&N, so Curtis brought a slew of cookies he made in advance for the event! Wheee! Curtis is even better looking in person than he is on TV! The jozjozjoz.com archives for Tuesday, April 14th, 2009.